← i love ryan thompson! to most people, these may look like ordinary playing cards. but they’re not . . .
and these things, they may not appear to be extraordinary either. but they are. all of these things are my treasures. 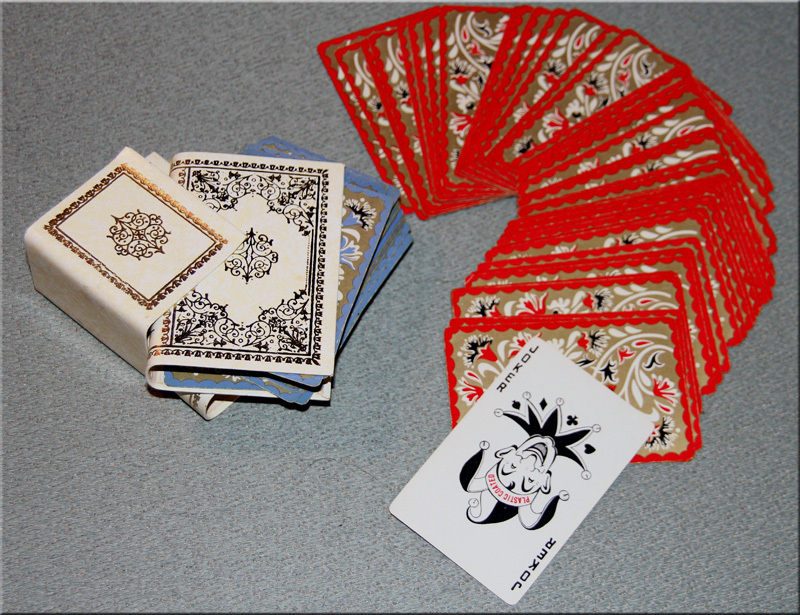 the cards belonged to my grandmother and she used them weekly for her bridge games. she loved bridge. she also loved to knit and sew. 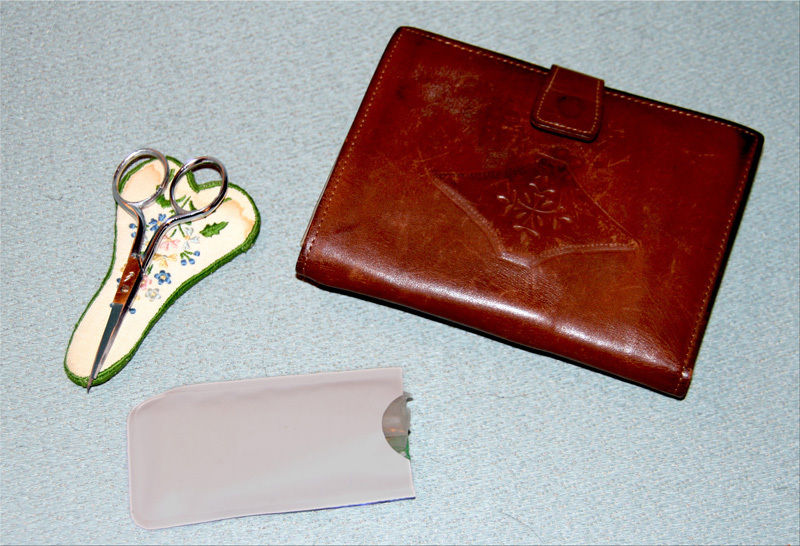 the scissors were in her sewing kit. you may be wondering about the white plastic item . . .
it was gram’s rain bonnet! she always kept an emergency rain bonnet in her bag along with her wallet and a handkerchief. 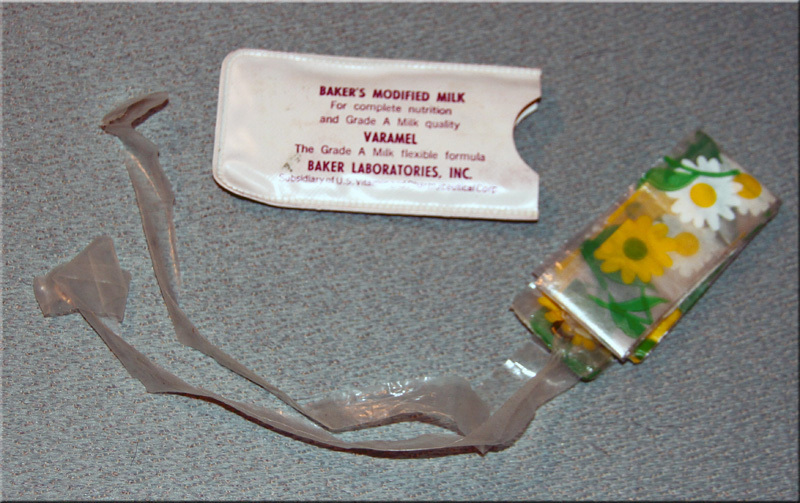 although i don’t ever recall gram wearing perfume, her purse always had a very distinct fragrance from the perfume she would dab onto the handkerchief inside her bag. i loved that smell. 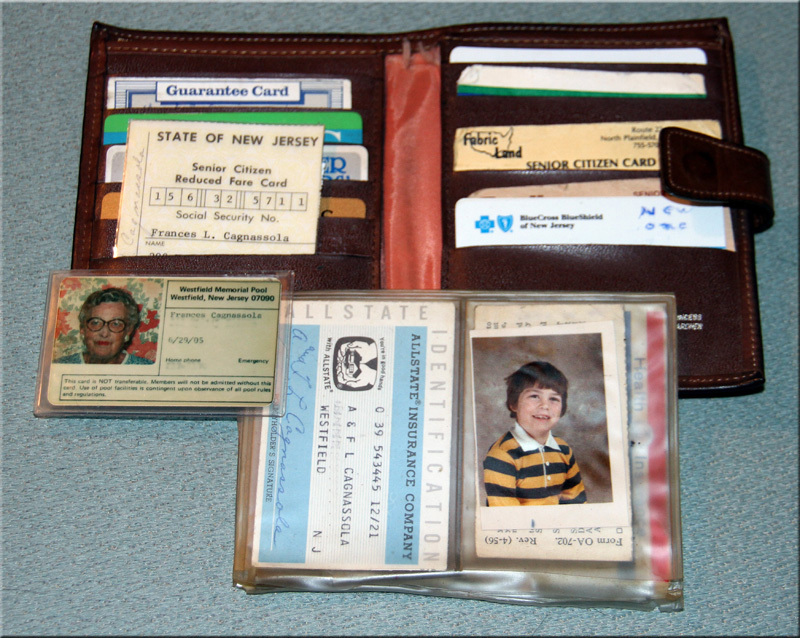 when gram died, i saved all of her purses and her wallet as well. i stored all of her purses inside of a suitcase that i would open on occasion just to smell the fragrance that reminded me of gram. one day the fragrance was gone and i was heartbroken. but, as luck would have it, on the same day the fragrance disappeared, i was going through some of the things i had saved from her house and i found a fancy glass bottle. it was wrapped up in newspaper, inside a box labeled “gram”. i opened the bottle and smelled the inside. it was the fragrance she used on the hankies! i only open it sparingly – maybe once a year or so. 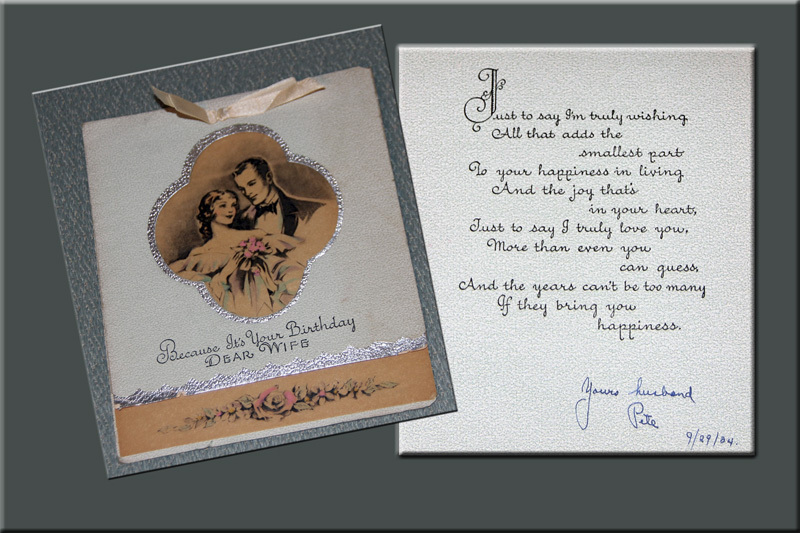 in my treasure chest is this card which gram received from my grandfather exactly 78 years ago today on her 29th birthday. september 29th, 1934.
on september 29th in 1905, the world became a better place. 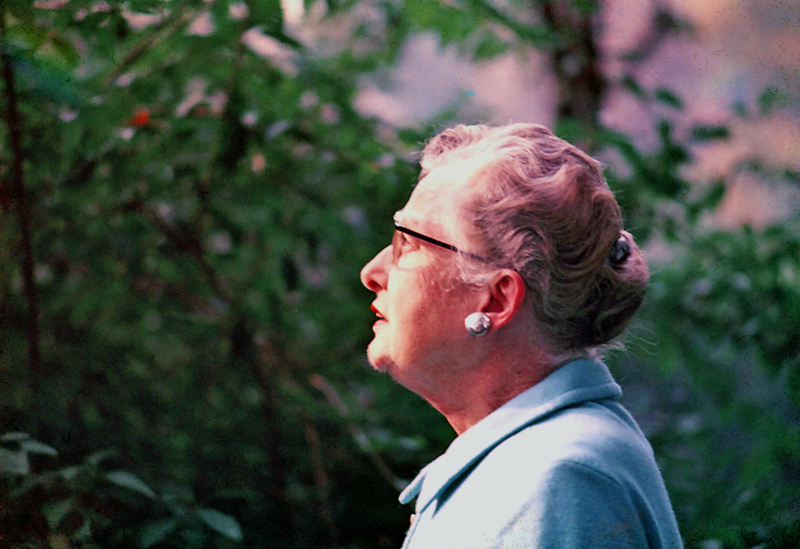 i think of you & miss you every single day, gram – happy birthday. i love you! This entry was posted in family, life, thoughts and tagged frances cagnassola, grandparents, happy birthday. Bookmark the permalink. This is so beautiful. God bless you and your Gram. You are blessed. I never knew either of my grandmothers.